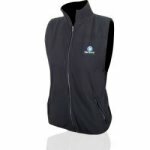 A micro fleece gillet, ideal for that extra bit of warmth. 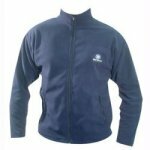 Micro Fleece, very lightweight and warm fleece material. 2 zipped front pockets, for valuables. This is ideal for runners who travel. Everything you need is included in a compact bag. Take a complete running kit with you wherever you are, always be prepared! 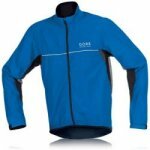 Timezone Jacket - Exceptionally lightweight and made from Windstopper Active Shell fabric with mesh lining. Anatomical cut with zip-off sleeves which transform the jacket into a running vest. Timezone Shirt - Changes from a short anatomically cut t-shirt for the summer into a warm long sleeved top with roll-down mitten cuffs for cold days. Timezone Tights - Short tights with flat seams, adjustable waistband, gripper elastic hem and a small rear pocket. Separate leg extensions can be fitted to the shorts, providing full leg coverage on the frostiest of runs. 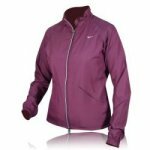 A fantastic lightweight running jacket, designed to protect you from the elements. Its ready to take on any weather. Water resistant to increase comfort and protect you from the elements. This stylish outer jacket is perfect for cooler days and nights or light rain. 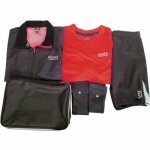 Features include great ventilation, audio pocket and reflective piping for visibility. Ventilation area at back of the jacket. 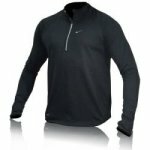 The Thermal long sleeve top from Nike is a great combination of style and practicality to keep you warm on those cold winter nights.